This powerful hammer will demolish concrete walls, ceilings and paths and has the controllable energy for accurate, clean breaking for door and window openings. 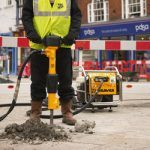 This heavy-duty hydraulic breaker, powered by a petrol unit, provides a powerful, high-performance alternative to the bulky compressor. 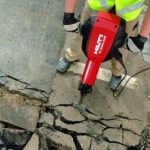 The breaker is for use with in medium size demolition jobs, such as breaking road surfaces. 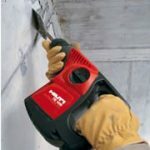 Chipping hammers are ideal for doing small demolition jobs, from removing wall tiles to stripping plaster. We have a range of chipping hammers available.